Are your cell lines evolving right under your eyes? As a scientific researcher, you expect experimental reagents to be delivered the way you ordered. 99.9% pure means 99.9% pure, and a cell line advertised with specific growth characteristics and genetic features should reflect just that. However, recently published work by Uri Ben-David, me and a team of researchers shows this isn’t necessarily true. 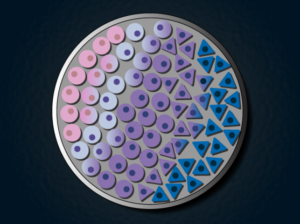 Cancer cell lines – immortalized cells derived from a cancer patient that can theoretically proliferate indefinitely – are a workhorse of biomedical research because they’re models for human tumors. Cell lines can be manipulated in vitro and easily screened for vulnerabilities to certain drugs. 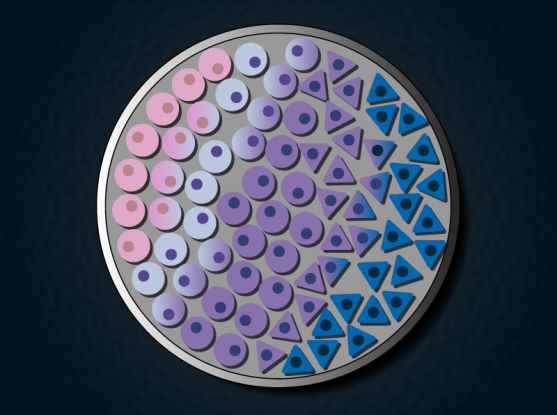 In the past, research involving cancer cell lines has been difficult to replicate. Attempts to find drugs that selectively target cancer cell lines couldn’t be reproduced in different labs, or didn’t translate to animal experiments, for example. Our team, led by Uri Ben-David and Todd Golub in the Cancer Program at the Broad Institute, thought that underlying genetic changes could be responsible for the failure of study replication. This isn’t necessarily a new hypothesis, and researchers have demonstrated genetic instability in cell lines before. However, we wanted to put the issue to rest forever. We began by profiling 27 isolates of the breast cancer cell line MCF7 that came from different commercial vendors and different labs. Most were wild type, but some had undergone supposedly neutral genetic manipulations, such as the introduction of genes to produce fluorescence markers. First, we found significant and correlated changes in genetics (SNPs and copy number variants) and gene transcription levels. To test if these changes were important or just a curiosity, we subjected the 27 isolates to a panel of different drugs, some of which were expected to kill the cells and some of which should have had no effect. The results were striking – drug responses were so variable that MCF7 could have been called susceptible or entirely resistant to many of these drugs, simply by changing the source of the cell line. I hope you can appreciate how variability like this would throw a wrench in any drug discovery pipeline. To check if this was simply a feature of MCF7, we repeated many of the same experiments on the lung cancer cell line A549, and smaller-scale classifications on 11 additional cell lines. We found similar levels of variation in every example tested. This is the largest and most detailed characterization of cell line variation to date, and will serve as a resource for researchers working with these lines. We also designed a web-based tool called Cell STRAINER which allows researchers to compare cell lines in their lab to references, revealing how much the lines have diverged from what you expect. Serial passaging and genetic manipulation causes the largest changes. Maintaining a stock in the freezer over many years has a much smaller effect. Characterize any cell line you receive from a collaborator, or the same line periodically over time. Low-pass whole genome sequencing (and comparison with Cell STRAINER) is a cheap and effective method. Recognize that inconsistencies in cell line-based experiments may be due to underlying variability, not flawed science. There was even one positive finding – panels of these isogenic-like cell lines can be used to reveal the mechanism of action of new drugs better than established cell line panels. The full paper is online now at Nature. The Broad Institute published a good summary of the work, and the research was picked up by Stat News (paywalled). This was a major team effort and collaboration, all orchestrated by Uri Ben-David. I can’t thank him and the other coauthors enough for their dedication to the project!